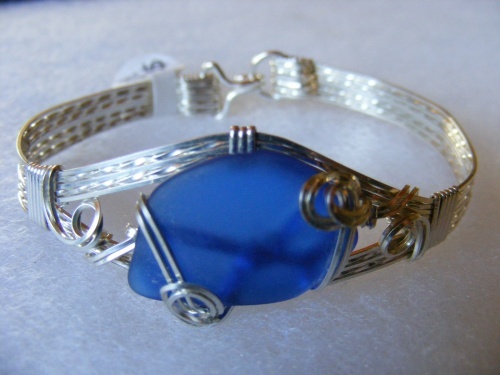 This awesome cobalt piece of authentic seaglass has been captured in a cuff setting making it one of a kind. So pretty with its sterling silver curls and so different. You wont see anything like it anywhere else. Seaglass piece will vary in size and shape as this piece is made to order.